Observe the night sky and explore the world beyond! 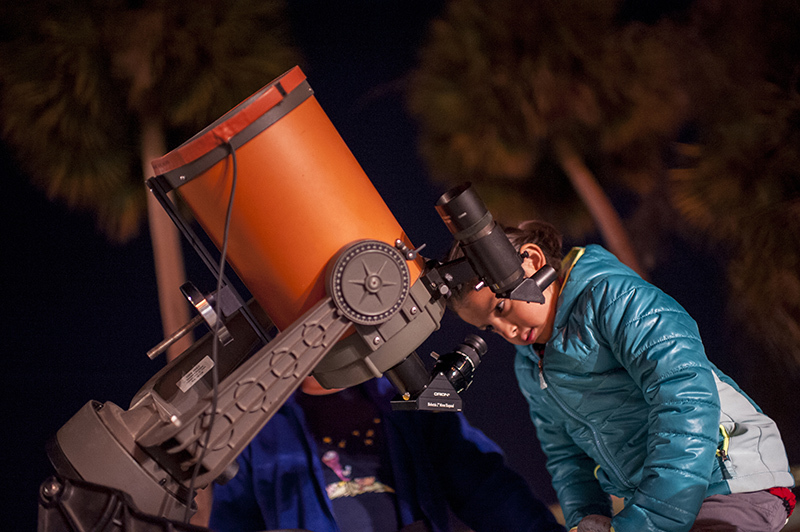 Gaze at the stars through high-performance telescopes and see a portable planetarium show. 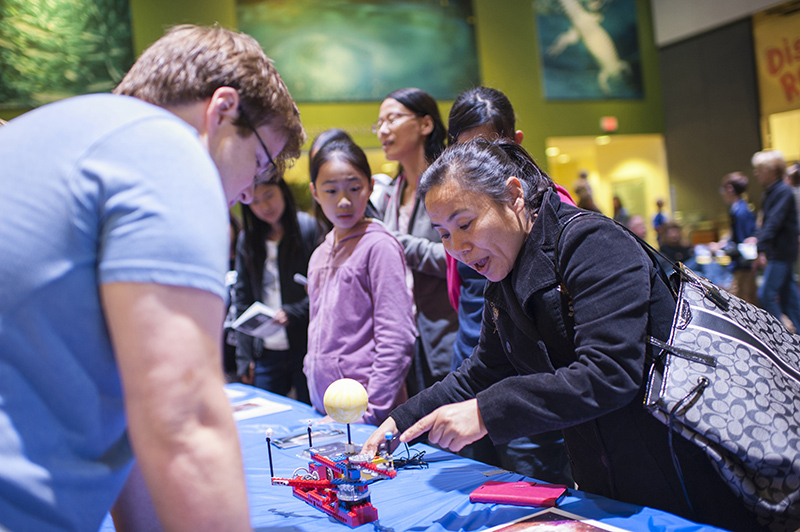 Join the Museum for this FREE, fun-filled night of astronomical proportions! Food vendor available. Doors open and stargazing begins at 6 p.m. Let’s reach for the stars! Don’t forget to pick up your Passport to the Universe! Keep track of the activities you participate in and receive a prize! Sample speakers below. Updated 2019 speakers coming soon! Watch the latest episodes of “Star Gazers” and meet one of its hosts, James Albury! Can’t make it to the event? Watch James’ presentation via Facebook LIVE starting at 6:30 p.m. Hear a live concert of astronomical music with guitarist Jim Webb. Sample activities below. Updated 2019 activities coming soon! Want to know more about stars and the universe? 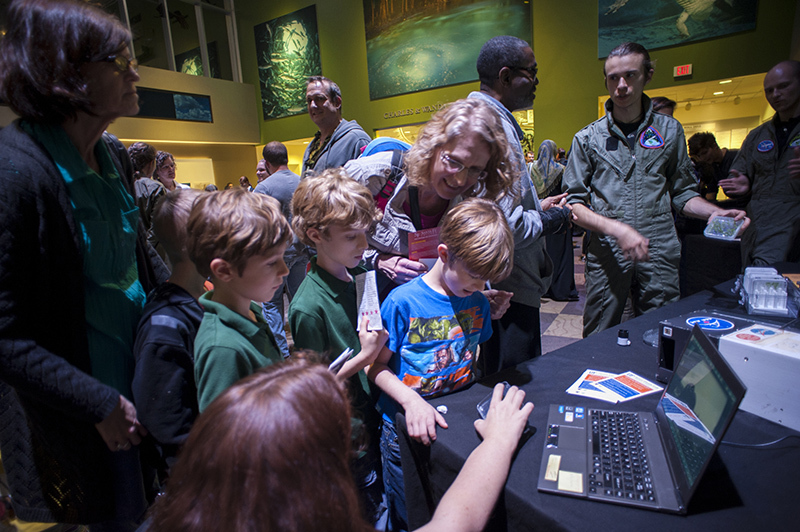 Learn about space with fun activities and interactive games! 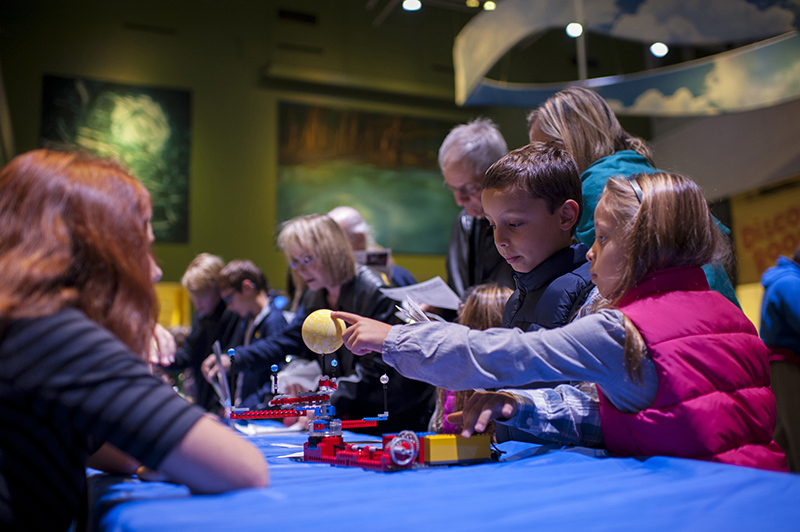 Create craters and learn how material from space affects the moon. 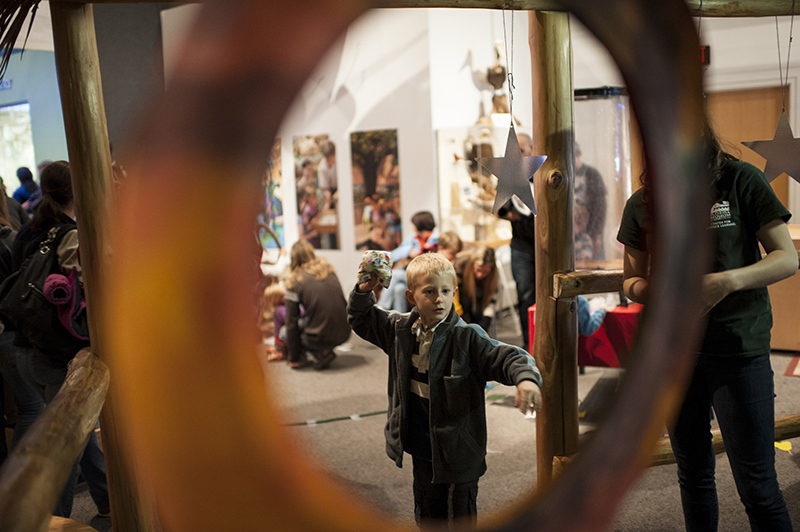 Experience a journey through cosmic time and space as you travel from Earth to the outer parts of the universe. Enjoy tasty treats and dinner under the stars from Old San Juan Gastronomia. Listen to radio waves emitted by the Milky Way using the Radio JOVE low-frequency radio telescope. Learn how you can use this equipment to listen to radio waves from Jupiter and the Sun. Investigate the science and technology used to create the world’s largest telescope, the Gran Telescopio Canarias. 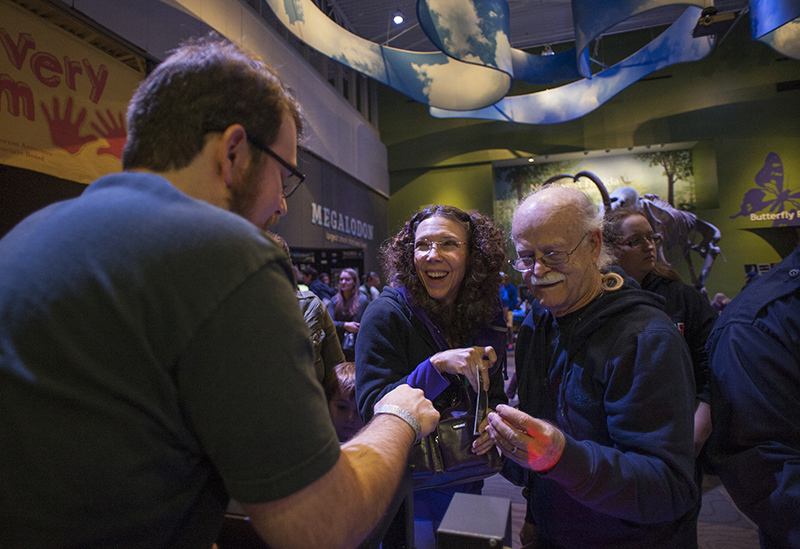 Return your completed “Passport to the Universe” to receive a prize. 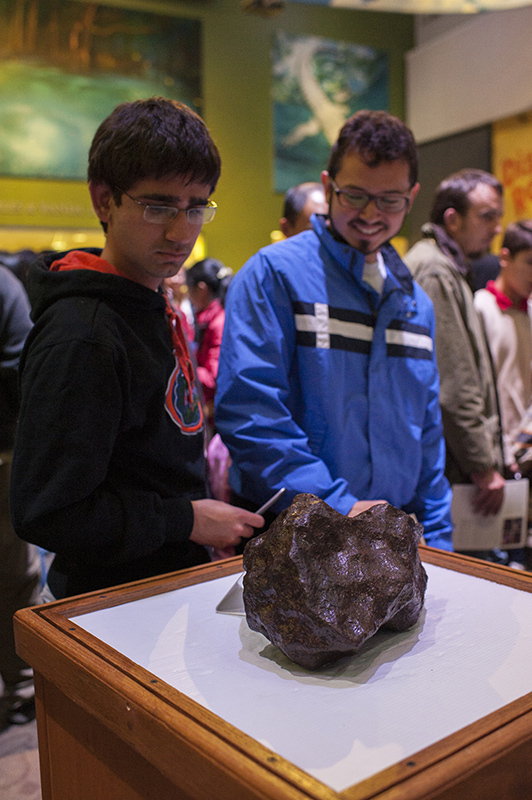 Discover the Santa Fe College Astronomy program and see objects like a portion of the Campo del Cielo, a 70-pound meteorite, as well as space shuttle tiles. Discover the oddities of rocks from space and find out how they differ from ones on Earth! 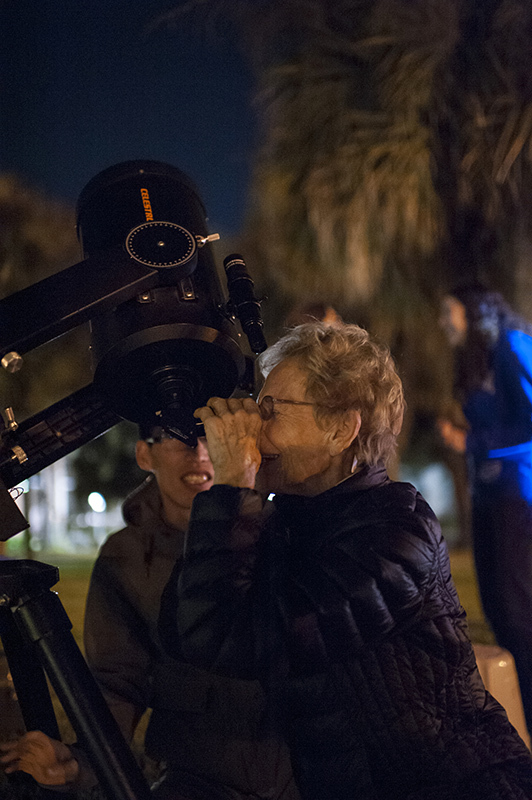 View celestial bodies through professional-quality telescopes with the help of astronomers from the Alachua Astronomy Club. See an exhibition of space-inspired art by area artist Tim Malles, who contributed brass plaques to the Gainesville Solar Walk project on Northwest Eighth Avenue. 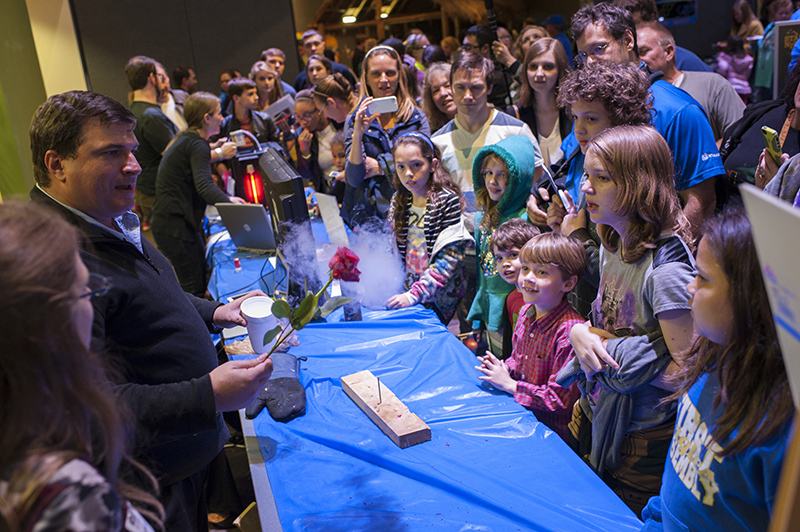 Learn about the fascinating and unusual tools astronomers use to study the universe. This event is made possible in part by the UF Astronomy Department, Alachua Astronomy Club, Santa Fe College Astronomy Program and Kika Silva Pla Planetarium.